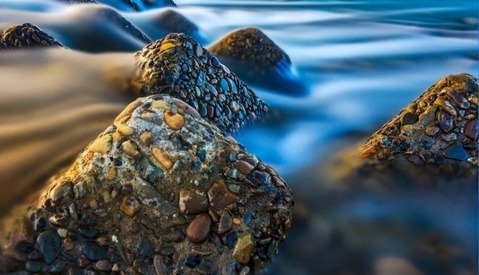 The amount of money a photographer spends on tripods throughout their career can add up to a substantial amount. You might want to get it right the first time. 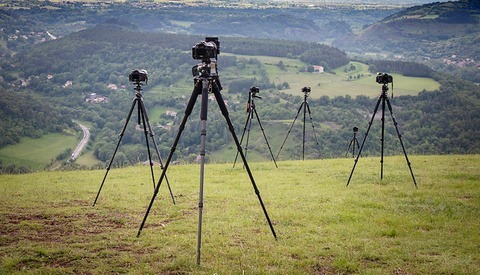 I once heard the normal story of buying tripods is similar for most photographers. First, you buy the cheapest one at around $30. After all, this is just a stick that ought to carry your camera. It does not take the photos itself. When the first tripod dies after a few weeks, you realize you should have spent a little more on getting a tripod that does not fall apart attaching a camera to it. Therefore, you go for one which is a bit more robust. You should be able to get one for about $70. For some months, you are probably happy about it, but then that one breaks too. If you invested that $100, it might even be good enough for a year — or your first photography tour. What’s that? One of the legs jammed and you broke it when pulling it out? On to the next one. This time, you have learned your lesson. You have to cough up for those $250 and up. You use it for several years. You are relatively happy about it, but over time, you learn about its shortcomings and where it can be improved. With the accumulated experience and knowledge, you search the Internet for a proper tripod that suits your needs and realize you have to spend $500 or more. Ouch, but you will now have a tripod that will last for… well, until you find all the shortcomings of that one and you will live dissatisfied ever after! In the above video, I share some of my experiences with tripods and I share a few tips on how to secure the tripod. There are only two kinds of tripods: lightweight or stable. I prefer stable but, yeah, sometimes I have to settle for light. I can't stand having a third knob for friction control, I always accidentally crank it thinking it's the panning knob. I like friction knobs that are within the main locking knob. I also prefer all-metal knobs. The climate and conditions I shoot in almost always result in either melted or cracked grip rubber, and I have at least five ballheads that are now 100% gaff-tape knobs. Some great points Matthew! Which Oben ball heads do you prefer? I'm looking for something better myself. The BC-126, BC-139, and BC-166 are the three bigger ones that have a friction screw. They're all insanely solid, and don't show any faint vibration at all, even in wind. The BE-108 and BE-117/T are the ultralight travel heads, they don't have a friction knob but they're still sturdy enough for a full-frame DSLR and a giant lens, and very averse to vibration as well. Great video as usual Mads. I would always recommend using the center column and the thinnest legs at last resort in a flimsy/light weight tripod, as this will ensure better stability. 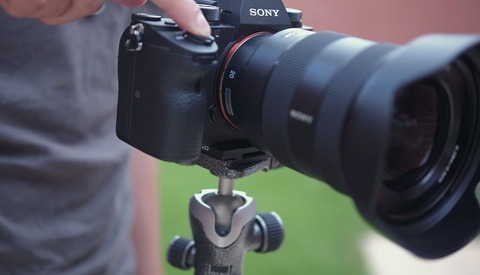 I'm currently shopping, eyeing a few different ones at the moment, really like the "three legged thing" tripods but dear god they are expensive (may end up with one of their entry level ones in the $300-400 range)! What does everyone prefer, the "twist" lock on the legs, or the "flip" lock on the legs and why? Go with the flip sort. In my opinion more secure as It's either open or closed. Been there. Started with a Sirui Ball head as it was nice and inexpensive and looked okay. When the locking screw dismantled itself and my camera nearly fell out, I screwed it back in again and kept an eye on it. That's not very reassuring, so I bought the same brand as my L-Plates, Really Right Stuff. The BH-55 with quick release lever with a a big knurled locking knob. It's solid and as the ball is also big it's easy to position. Just like te L-plates, the quality is bomb proof and they will last for ever. Then I made a mistake by buying a Savage light stand for say $100 and it fell apart after three months. I contacted my supplier in The Netherlands CameraNu and I returned the Savage and only had to pay the extra $25 to get a Manfrotto lightstand. I have two Manfrotto tripods so I know the quality is good. The Manfrotto is a gem and very very stable and it retails for only $25 more than the crappy savage. So, it pays to buy brands and pay that little bit extra or maybe in case of the RRS, hundreds extra. I use them almost every day, by the way, but even pros have to save money sometimes.